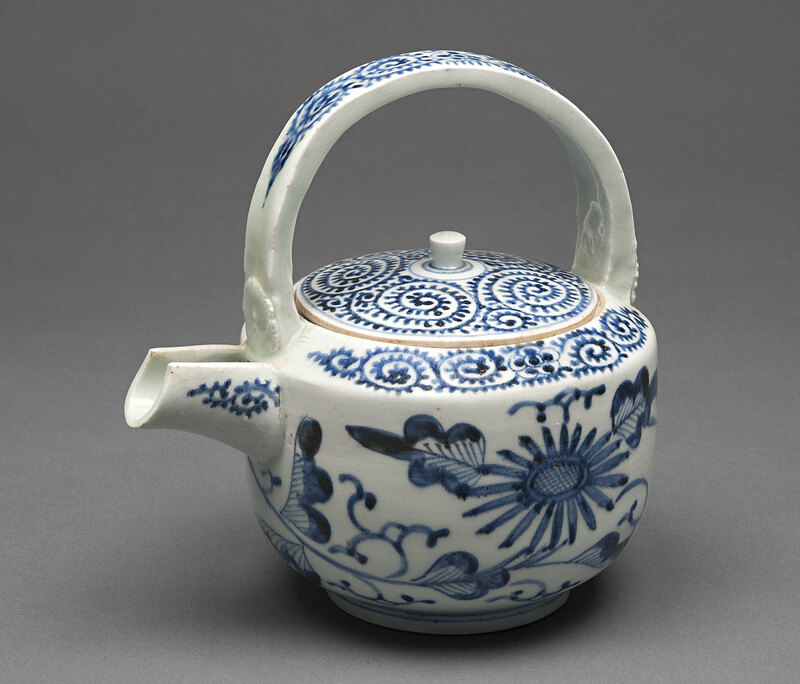 Wine pitcher decorated with chrysanthemum and scroll design in underglaze blue. 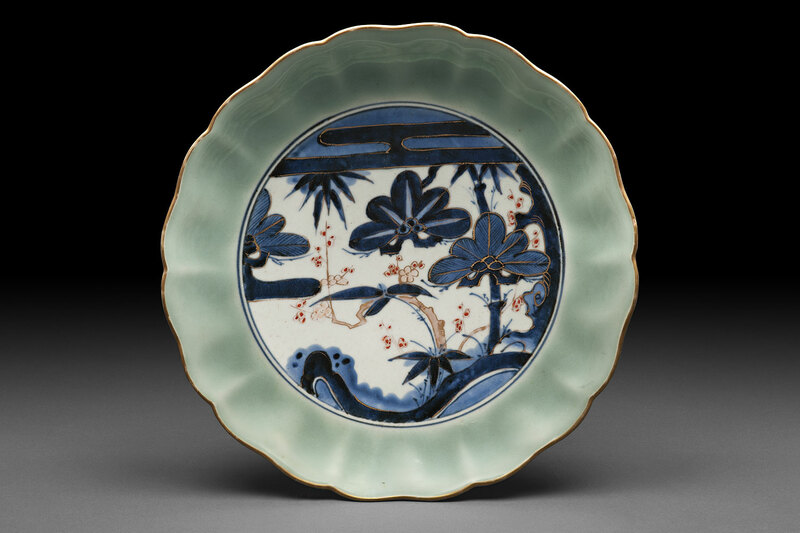 Dish decorated with a celadon ground and pine tree, bamboo and plum tree design in underglaze blue, overglaze enamels and gold. 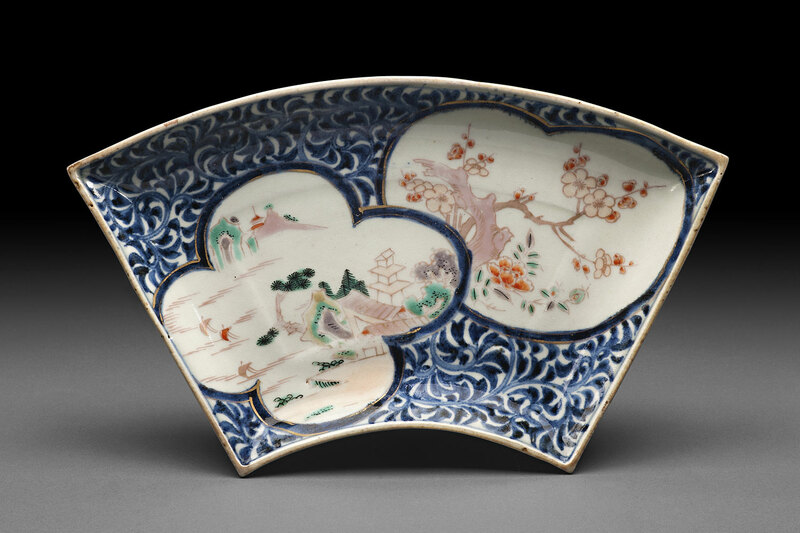 Fan-shaped dish decorated with mountain landscape, plum tree and floral scroll design in underglaze blue and overglaze polychrome enamels. 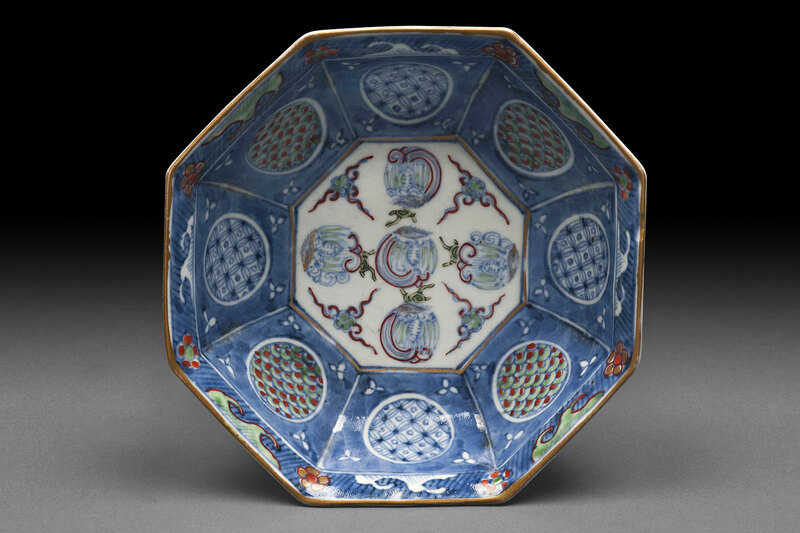 Octagonal bowl decorated with phoenix design in underglaze blue and overglaze polychrome enamels. 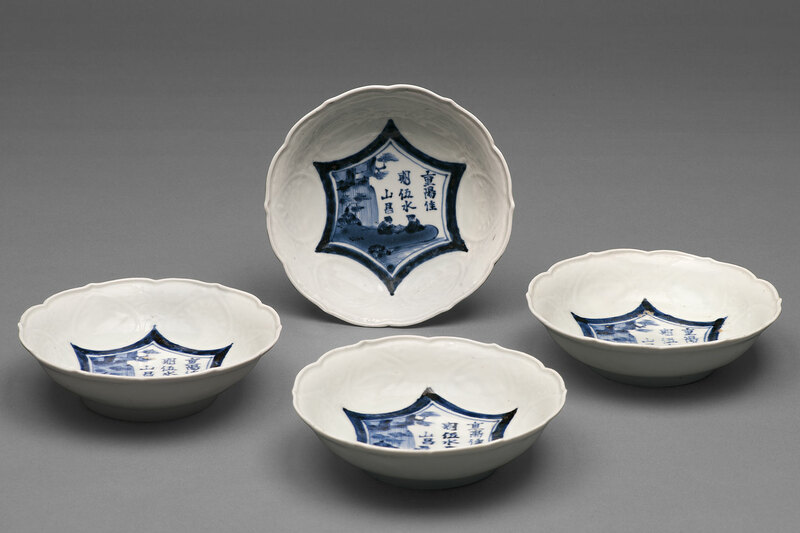 Four bowls decorated with auspicious objects in relief, landscape and figure design in underglaze blue. 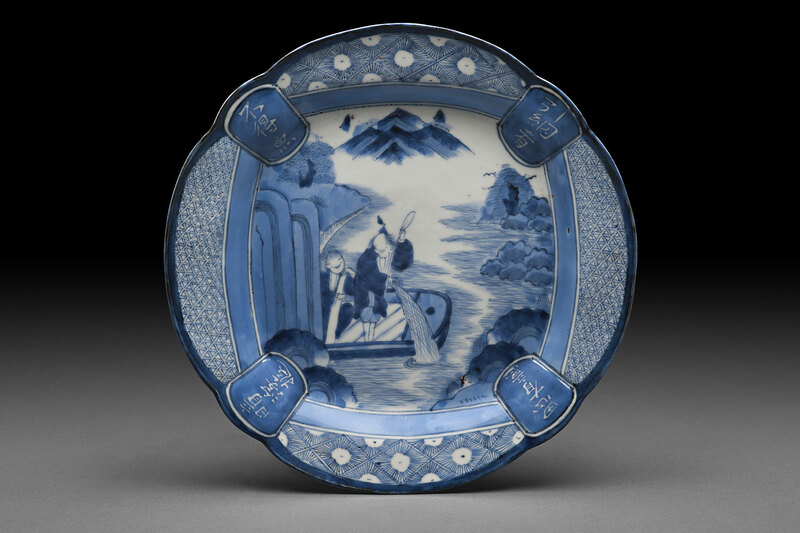 Dish decorated with landscape and figure design in underglaze blue. 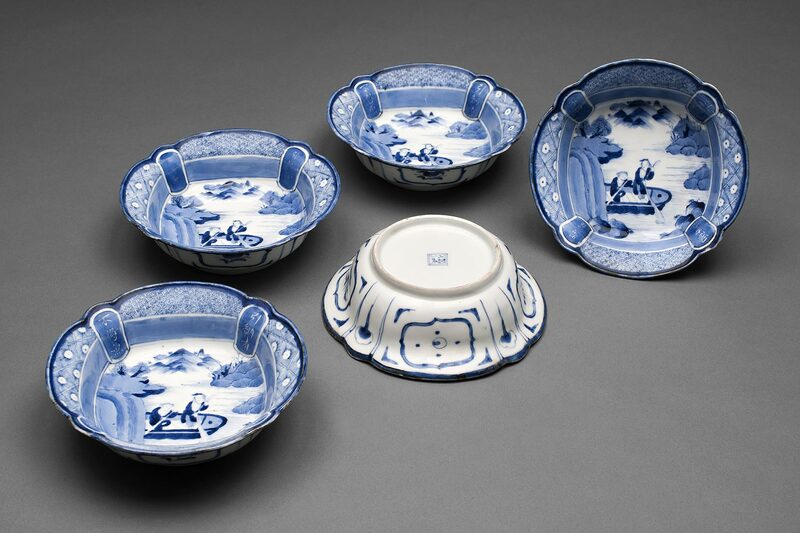 Set of five bowls decorated with landscape and figure design in underglaze blue. 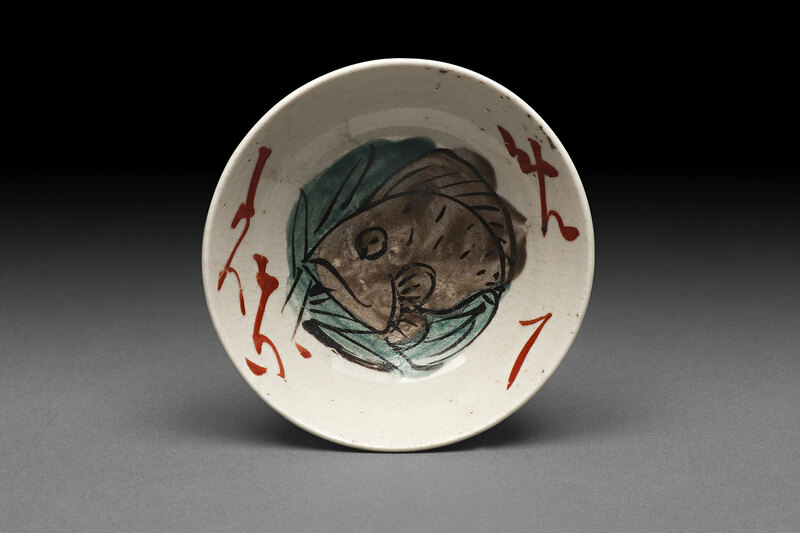 Small cup decorated with fish design in overglaze polychrome enamels. 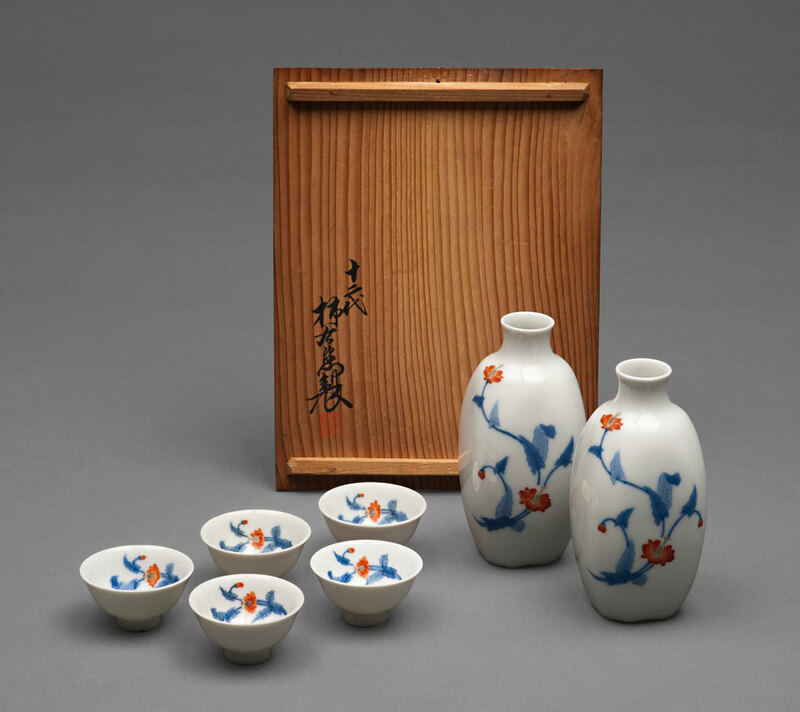 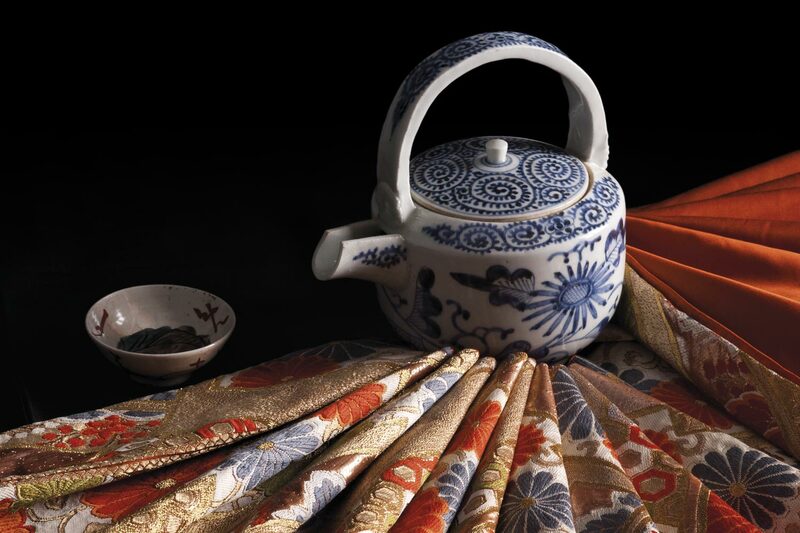 Two sake bottles and five cups decorated in underglaze blue and overglaze red enamel.